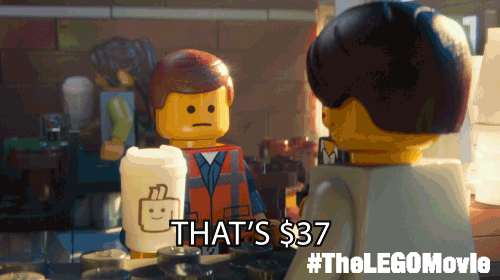 The Lego Movie, a movie where "Everything is Awesome!" The Lego Movie follows Emmet Brickowski, an unremarkable guy that finds a legendary thing called "The Special," which is the only thing that can save the Lego realms from the plans of the evil Lord Business. If I had to choose one toy as my favorite, Legos would win by a long shot. When I was a kid, I had a ton of Legos, and I even made Stop Motion Lego movies for several years, which you can see by clicking here. So, if you played with Legos as a kid (or still do now, or have kids), you are almost guaranteed to enjoy this movie. Plot: 9.5/10- The Lego Movie's plot somewhat satires typical movie clichés, while also throwing in some very unique elements. It actually reminds me a lot of The Matrix, in the best ways possible, but it ultimately subverts some of the clichés. Also, The Lego Movie is the first family film to ever truly surprise me. Seriously, there are a few parts of the movie that had me completely floored. Themes in family movies are about as simple as they come, and even the critically lauded ones like Toy Story never resonate with me. However, The Lego Movie actually hits the mark with surprisingly mature anti-Communism/Fascism themes with everyone being told and brainwashed to always "Follow the instructions," by watching the same TV show, do the same thing, and listen to the same song. Some might interpret it as anti-big-business, but I do not really see it in that way, since free market capitalism and creativity is what the movie is about. However, there is one aspect towards the end of the film that I do disagree with thematically, but it is not enough to affect my enjoyment. Also, the movie does lean towards being a tad sappy for about two minutes, but quickly goes back to being fun. Characterization: 9.1/10- Surprisingly, there is character development in The Lego Movie with its cast of fun and likable characters. Even the ones that are not given much screen time are fun and memorable. Emmet is the main protagonist, and in many ways he is a satire of the typical "Chosen One" archetype. Wyldstyle is a fun tsundere type character, who has her own character arc. Batman is, well, Batman! He is everything great about Batman, but with a lot of self parody humor, which is great! Action: 8.7/10- Due to the Lego visual style, the directors could do a lot more with the action scenes compared to a typical PG animated film. There are several entertaining shootouts and chase scenes that utilize the unique quality of the Legos for maximum effect. In the movie, there is even a clever heist scene! Acting: 9.4/10- Chris Pratt knocks it out of the ballpark as Emmet selling the humor flawlessly. Will Arnett is one of the many highlights of the film as Batman giving a positively hilarious performance! Liam Neeson as Bad Cop/Good Cop is very funny throughout. Will Ferrell as Lord Business kills it in his role, and Morgan Freeman as Vitruvius provides the epicness that one expects from Morgan Freeman. Interestingly, Marvel vet, Cobie Smulders, voices Wonder Woman along with Channing Tatum as Superman and Jonah Hill as Green Lantern, all of whom are hilarious in their bit parts. Art Style: 10/10- The Lego Movie's attention to detail in the animation is beyond absurd! Literally every tiny detail is animated using Lego bricks of some kind, even the explosions and fire. Imitating the stop motion style, opposed to the completely CGI look of the Lego video games, is brilliant! Everything looks and feels so perfect; I cannot believe the creators pulled it off. In terms of detail, you can see the small seams where the Legos are molded with the Lego hands, and virtually everything is accurate to how Legos are build. Also, the credits looked like actual stop motion, which is awesome! Soundtrack: 8.7/10- The main score from Mark Mothersbaugh actually has a lot of range from the fun and happy tunes of certain parts of the film, to the more epic ones of the later action sequences; everything works. As for the song, "Everything is Awesome," it is catchy and absurd. After listening to it work and reading about it, the song is actually a parody on fascism and brainwashing, which is incredibly clever. Christopher Miller's humor is spot on. The humor is not always hilarious, but it hits more often than not and the jokes come hard and fast. The movie parodies movie clichés, Legos, and other franchises all for hilarious effect. In fact, I have no idea how much a kid would enjoy the movie since a lot of the humor will probably go over their heads. Also, there is one part of the movie that was so utterly unexpected and hilarious that I was in shock for a few moments afterwards! Entertainment Value: 10/10- My face was literally hurting after watching the movie because I was laughing/smiling throughout the entire film! The Lego Movie is 100 minutes of pure enjoyment. I could go rewatch the movie right now, no problems. 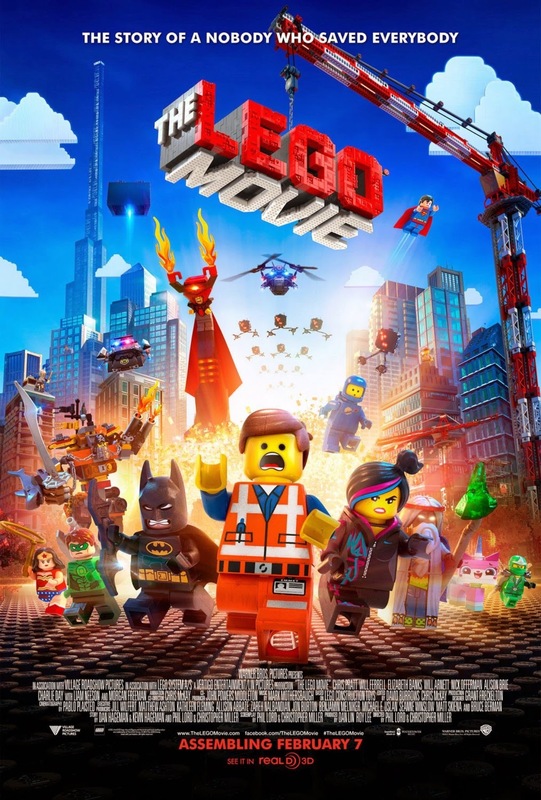 Overall: 9.6/10- The Lego Movie is fun, clever, smart, and absurdly entertaining. It is not only the best animated film in years; it is one of the best comedies and fun movies I have seen in quite some time, because "Everything is Awesome!" 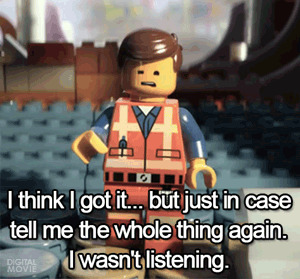 Closing comments: If you love Legos, you will love The Lego Movie, no question about it. If, however, you never played with Legos as a kid, I have honestly no idea how much you would enjoy the film, so keep that in mind. Avatar/Korra Reviews and Funny Memes! sXe Injected 15.1 Fix 1 Released!